Our active and successful School Council plays an important role in the life of the school, providing our pupils with a forum where their suggestions and views can be heard. Pupils lead the meetings themselves with a Chair, Vice Chair and Secretary to ensure we capture everyone’s input! Mrs Kennedy facilitates the meetings. Agreed, prioritised ideas come from the Class Councils which are held a few days before the main School Council meetings and then School Councillors debate which ideas we take forward and act upon. School Councillors attend staff briefing meetings to share any ideas when appropriate and attend an evening Governors meeting to update them on the Council’s activities and aspirations at least once a year. St John’s Eco Council meets regularly with representatives from Classes 3 and 4. 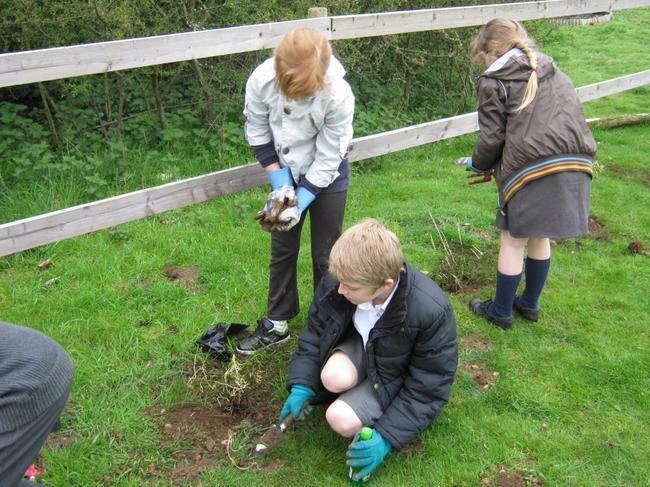 The children work towards creating an eco-friendly environment within our school and grounds. Amongst other activities, Eco Councillors have been involved in planting new trees at Heartswood Forest. This year we have also contributed to improving our environment by planting a number of bulbs and plants as well as some hedgerow trees near the gardening area.